As of last week, Mark Driscoll has officially resigned from Mars Hill, the Seattle megachurch he founded. Over the years, Mr. Driscoll had stirred a number of controversies, most famously for his domineering leadership style and intolerance of dissent. Before his resignation, things had gotten so bad that Mars Hill was expelled from Acts 29, a church planting network that Mr. Driscoll had cofounded. Although it was Mr. Driscoll’s unrelenting arrogance that ultimately led to his being forced out, two acts of financial dishonesty played a key role in his downfall. Second, over the course of the past year, it has come to light that the lion’s share of donations to the Mars Hill Global Fund, which was advertised as a fund for global missions, were actually spent on church planting in the United States. According to internal church memos, the fund was designed to entice global listeners of Mars Hill podcasts to make donations to the church and the plan was to give a small amount of money to support some high-profile international work while the majority of funds raised would go to expanding Mr. Driscoll’s empire in the United States. However, donors thought that the funds were earmarked for international missions work. In other words, Mars Hill Global was essentially a scam. The church leadership has consistently refused to answer donor questions about how the money was actually used. Many of those donors have appealed to the Evangelical Council for Financial Accountability (ECFA) for help. Mars Hill is one of a handful of churches that have actually joined the ECFA, and the ECFA’s response to the donors’ pleas has shown how meaningless that membership is. In response to petitions signed by hundreds of Mars Hill donors, the ECFA has refused to comment on Mars Hill and even went so far as to remove from its website a page that had previously promised that ECFA would investigate all donor complaints regarding breaches of ECFA guidelines. Seriously. The ECFA purged its website instead of following through on its pledge to donors. Blogger and psychology professor Warren Throckmorton, who has carefully documented the unfolding scandal at Mars Hill, wrote to ECFA president Dan Busby asking for an explanation. Mr. Busy has yet to respond. 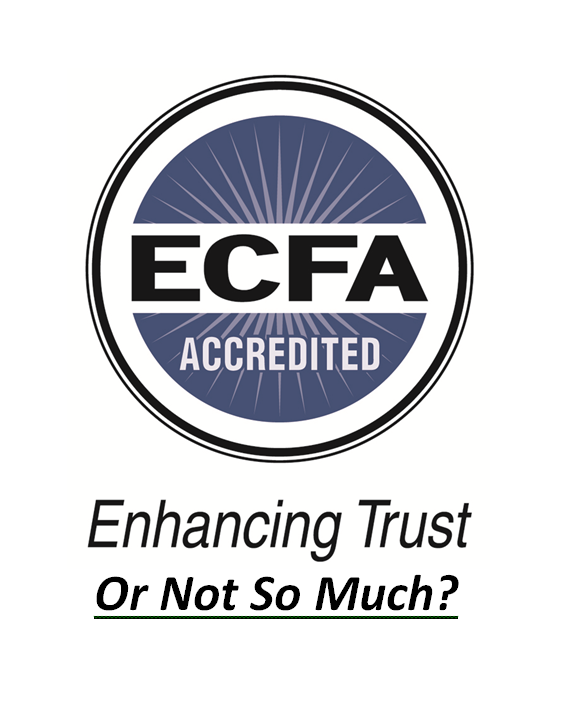 Mars Hill remains an accredited member of the ECFA. This entry was posted in Uncategorized on October 25, 2014 by churchtransparencyproject. After a multi-year hiatus during which the Internal Revenue Service suspended all audits of churches, it appears that the Service is again auditing churches. Under the Church Audit Procedures Act (CAPA), the IRS can audit a church only if (1) an “appropriate high-level Treasury official” has a reasonable belief that the church may not be exempt as a church or has unrelated business taxable income; and (2) the IRS provides written notice explaining the concerns giving rise to the audit and the general subject matter of the audit. After the IRS was reorganized in 1998, there was confusion over who constituted an “appropriate high-level Treasury official” for purposes of initiating church audits. In 2007, the IRS initiated an audit of Living Word Christian Center, a Minnesota church, after it was reported that Living Word’s pastor had endorsed Representative Michele Bachmann during a sermon, an act that could have resulted in a revocation of the church’s tax exemption. The IRS also investigated financial transactions between the church and the pastor that may have constituted improper private inurement to the pastor. The audit was approved by the IRS director of exempt organizations, examinations, an official that Living Word alleged in a lawsuit was not “an appropriate high-level Treasury official.” After the U.S. District Court for the District of Minnesota agreed with the church in a 2009 decision, the IRS effectively suspended all examinations of churches pending the designation of “an appropriate high-level Treasury official” for approving such audits, but the Service failed to name such an individual. All organizations that are exempt from taxation under section 501(c)(3) of the Internal Revenue Code – not just churches – are prohibited from participating or intervening in a political campaign on behalf of any candidate for public office. Although some churches have alleged that this restriction muzzles churches and amounts to a violation of their freedom of speech, churches are not restricted any more than other tax-exempt organizations, and a church is free to disregard the prohibition on “electioneering” as long as it is willing to forfeit its tax exemption. The restriction on electioneering is part of a broad policy enacted by Congress regarding what types of organizations should be entitled to the privilege of tax exemption. In 2012, the Freedom From Religion Foundation (FFRF) filed suit against the IRS alleging that the IRS violated the Establishment Clause of the First Amendment by failing to enforce the electioneering prohibition against churches while simultaneously enforcing that prohibition against other nonprofits, including FFRF. FFRF sought to enjoin the IRS from its policy of non-enforcement of electioneering restrictions against churches and to force the IRS to designate a high-ranking official to initiate church audits. FFRF and the IRS recently settled the lawsuit after the IRS informed FFRF that it had resolved which official would have signature authority to authorize church audits and that it had resumed examinations of churches. The IRS has designated the Commissioner of the Tax Exempt & Government Entities Division as the high-ranking official to approve church audits. The press release and court documents relating to the settlement provide few details on the new examination procedures, but they do state that the IRS has identified 99 churches that merit examination because of information relating to alleged electioneering activities. According to the FFRF press release, the IRS is in the process of reviewing its procedures to ensure fair enforcement of the electioneering prohibition across all tax-exempt organizations. The enactment of CAPA may or may not have been good for churches, but it is certain that the recent multi-year suspension of church audits has been bad for churches as a whole. Setting aside concerns regarding electioneering, the failure to audit churches has allowed financial miscreants to operate with greater impunity. For instance, the Living Word case revealed troubling financial dealings between the church and its pastor, but the IRS was powerless to enforce the tax laws prohibiting private inurement or private benefit. Although it remains difficult for the IRS to initiate a church audit and such audits will no doubt be rare, the knowledge that it is again possible for the IRS to enforce tax laws against churches should deter some from violating the tax law with quite as much impunity. This entry was posted in Uncategorized on August 20, 2014 by churchtransparencyproject. The U.S. District Court for the Eastern District of Kentucky recently dismissed a lawsuit filed by the American Atheists, holding that the plaintiffs lacked standing. The American Atheists and several affiliated organizations had filed a complaint challenging various preferences for churches in the tax code, including the exception to filing the Form 990 and the parsonage allowance. The plaintiffs alleged that the challenged statutes violated various constitutional provisions, including the Equal Protection Clause and the Establishment Clause. Judge Bertelsman distinguished the case from the decision of the U.S. District Court for the Western District of Wisconsin in Freedom from Religion Foundation, Inc. v. Werfel, in which Judge Barbara Crabb had concluded that the clergy housing allowance was unconstitutional, violating the Establishment Clause. The Freedom from Religion Foundation case included two individual plaintiffs who claimed that their housing allowance was not tax-free because they were not practicing clergy. In contrast, Judge Bertelsman noted that the American Atheists suit included no individual plaintiffs who could claim their housing allowance was not exempt. In addition, in Freedom From Religion Foundation, the government had admitted that FFRF could not qualify as a church, whereas in American Atheists, the IRS refused to admit that American Atheists could not qualify as a church. Judge Crabb’s ruling that the clergy housing allowance is unconstitutional is currently on appeal in the Seventh Circuit. This entry was posted in Uncategorized on June 6, 2014 by churchtransparencyproject. Christian television is big business. The networks are multi-million dollar enterprises that claim billions of viewers around the world. They also claim to be churches. As we’ve discussed elsewhere, churches do not have to publicly disclose their finances as required by other non-profits. NPR’s John Burnett recently took a close look at the previously undisclosed financial dealings inside one of these behemoths—Daystar—for an excellent All Things Considered story. Burnett used financial statements that were part of public court filings from a 2011 lawsuit filed against Daystar by a former employee. 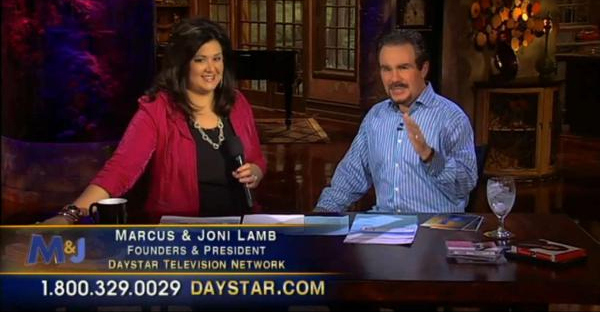 Daystar, one of the largest Christians television networks, took in $208 million in tax-deductible contributions from viewers between 2005 and 2011. Although Daystar points out that it is generous to other causes, the ministry gave away only $9.7 million during that period—a charitable giving rate of about 5 percent of donor revenue. Those findings contradicted statements by the ministry that it had given away $30 million. Daystar is headed up by its founder and chairman of the board, Marcus Lamb. Although the Evangelical Council for Financial Accountability, the IRS, and other experts consider it a bad governance structure, the organization’s five-member board is composed entirely of Lamb family members and their lawyer. The two-part NPR story also covers some well-trodden ground on the extravagant lives led by other television preachers such as Kenneth Copeland, who lives in an 18,000-square-foot “parsonage” and whose ministry owns a $10 million private jet. We believe a lack of transparency in governance and financial matters can lead to an abuse of the trust implicit in these organizations. If these NPR stories trouble you, we ask for your support in advocating increased transparency for churches. Please follow us on Facebook and share your concern about this issue with others. This entry was posted in Uncategorized on April 18, 2014 by churchtransparencyproject. As reported by the Christian Post, John Piper recently had some very thoughtful observations in light of David Yonggi Cho’s conviction for embezzling $12 million from his church in Seoul. Cho, the founder of the world’s largest church, was recently sentenced to three years in prison for acts that included taking donations and borrowing huge sums from his church that he had no intention of repaying. 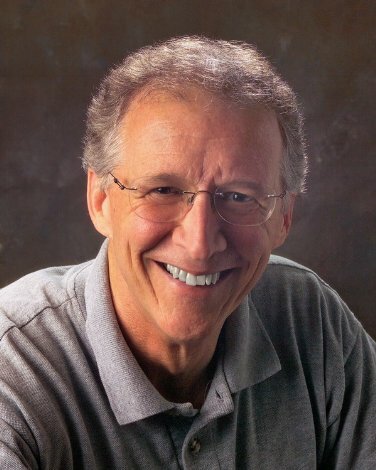 In his daily interview Ask Pastor John, Piper stated that stories like Cho’s are bad for Christianity, noting “With every public dishonoring of Christ, every public dishonoring of His Word and His Gospel, and His Church, it makes me angry and it makes me sorrowful.” Piper went on to offer a number of thoughtful recommendations for how churches and pastors can keep from falling into the same temptations that felled Cho. To avoid some of the temptations of wealth, he also recommended that the church not be ruled by worldly successful elders, which sends the wrong message. And the pastor should be only one of a number of elders and should have just one vote — not a veto on the congregation. Please don’t write this off as pauper theology. There goes Piper again with his pauper theology. That is absolutely ridiculous. The kind of distortion that makes of what I’m saying is a sign of fear that what I’m saying just might be true. Get a car that works; that gets you where you need to go. Get a car that doesn’t break down on you every few months. I’m talking about a modest entertainment budget that doesn’t eat out every night. I’m talking about a refreshing vacation, not an exorbitant one. I’m talking about clothes that are unremarkable and undistracting, both for not being shabby and not being brand driven. I’m talking about a home that accomplishes your family and ministry purposes leaning towards ordinary folks in your congregation, not the wealthiest. We think Piper’s advice is very wise. Listening to his entire interview (only 9 minutes) is well worth the time. This entry was posted in Uncategorized on March 6, 2014 by churchtransparencyproject. I am now disappointed with many of my fellow ministers of the Gospel. It seems that the primary reason for many to enter the Christian ministry is to become wealthy, and the acquisition of wealth appears to have become more important to them than the saving of souls and the assisting of the poor and needy. I have written a book entitled $top the Pro$perity Preacher$ to expose some of the ungodly methods being used by preachers to exploit God’s people and to cheat the U.S. Government. In my book I also offer some suggestions about how the U.S. government should make some changes in the laws to make it more difficult for preachers to exploit their congregations and to make sure that rich preachers pay their fair share of taxes. The government has established legislative safeguards in many areas of finances in an effort to protect the American people from fraud and deception. Now it is time to establish some legislative safeguards that will force the Laodicean prosperity preachers to pay their fair share of taxes and to stop them from misleading and exploiting the poor. I find it strange and appalling that the salary of the president of the United States is made public; the salaries of the members of the Senate and the House of Representatives are made public; the salaries of every state governor are made public; but the salaries of pastors and church employees are kept confidential and top secret. Requiring churches and religious organizations to file an IRS form 990 would in no way impede the constitutionally guaranteed freedom of religion, but it would help to expose those greedy preachers who are using the constitution to conceal their improper accumulation of wealth at the expense of American citizens. We heartily agree with those sentiments, and also with another recommendation on Jones’ website: that the members of every congregation should have the authority to elect trustees of the church. This entry was posted in Uncategorized on February 16, 2014 by churchtransparencyproject. Two secularist organizations are currently engaged in litigation challenging the constitutionality of the exemption churches have from filing the Form 990. As explained elsewhere on this site, other tax-exempt organizations are required by law to file the IRS Form 990, on which they must disclose detailed financial information. Because the law also requires Forms 990 be made available to the public, donors are easily able to access financial information about other charities on websites such as GuideStar. The first lawsuit was filed by the American Atheists on December 20, 2012 in the U.S. District Court for the Eastern District of Kentucky. About a week later, the Freedom from Religion Foundation (FFRF) filed a similar suit in the U.S. District Court for the Western District of Wisconsin. The complaints filed in both cases allege, inter alia, that the exception from filing the Form 990 provides preferential treatment for churches in violation of the Establishment Clause of the First Amendment. The IRS moved to dismiss both lawsuits on the grounds that the plaintiffs lacked standing to sue. Judge Barbara Crabb of the Western District of Wisconsin denied the government’s motion to dismiss, concludng that the plaintiffs had standing for the same reasons she had earlier decided that the FFRF had standing to sue over the parsonage allowance. (In that case, Judge Crabb ruled for the FFRF, holding that the parsonage allowance violated the Establishment Clause; that decision is currently being appealed.) However, Judge Crabb asked the plaintiffs to show that they had suffered a redressable injury. She has not yet issued a ruling on that question. In November 2013, the District Court for the Eastern District of Kentucky heard oral arguments on the government’s motion to dismiss. A decision on that motion is pending. This entry was posted in Uncategorized on January 20, 2014 by churchtransparencyproject. Thank you for visiting the Church Transparency Project. On this website, you will find information explaining what transparency is, why it is important, and how churches can achieve meaningful transparency. We believe that improved transparency would be good for the Church – it would increase donations, reduce opportunities for financial malfeasance, and provide a better Christian witness to the world. In addition, we believe that transparency is biblical, and studies show that many churchgoers want their churches to be more transparent and accountable.